The entire team at the ibis Styles Bourges is happy to welcome you to our stylish hotel. Come and enjoy our warm atmosphere and heated swimming pool, just 10 minutes from the city center and with easy access from the highway. Breakfast and unlimited WIFI are included in all rates at the Hotel ibis Styles Bourges. The hotel opened in April 2008 and offers 66 air-conditioned and soundproofed rooms. Located on the outskirts of the town, it has a contemporary design that combines modernity, comfort and quality. 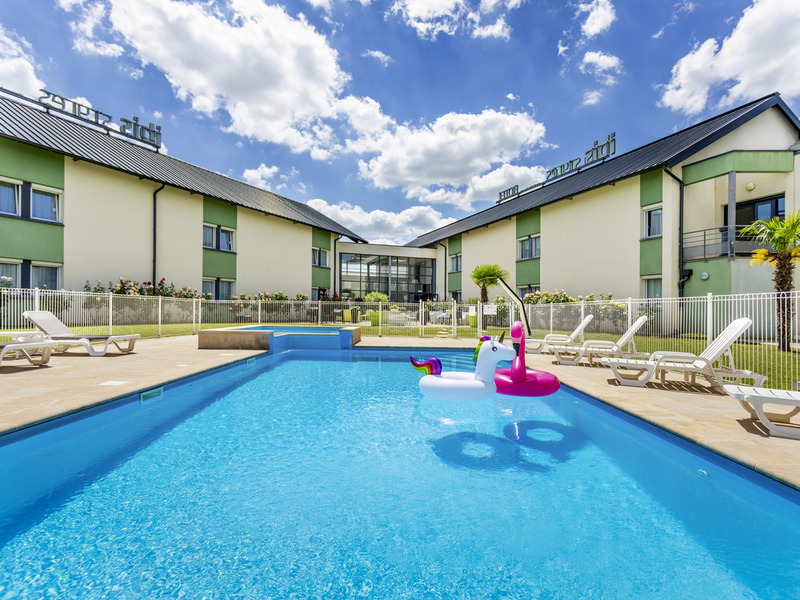 The functional rooms, bar area, garden terrace, heated outdoor pool (open in the summertime) and free enclosed car park create a welcoming setting designed for your well-being.